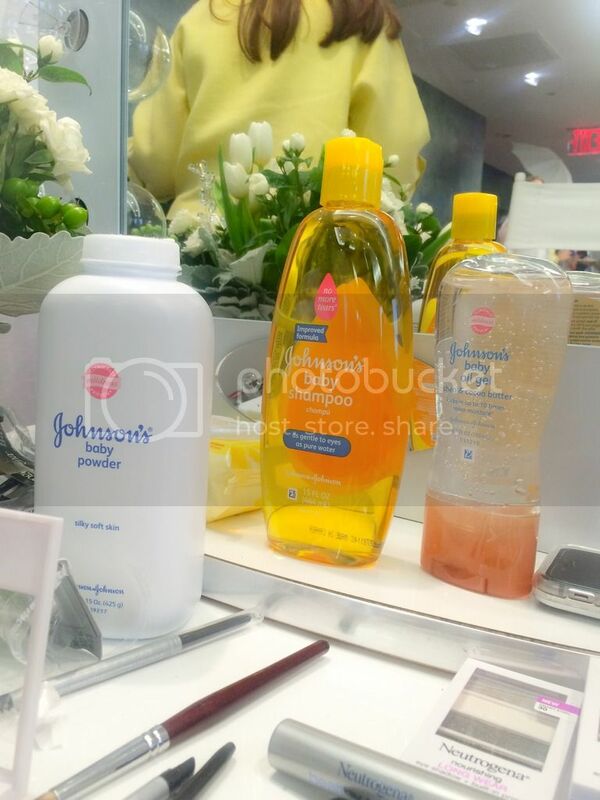 Last week I attended yet another Johnson and Johnson event for just us mommy’s. We all know that Johnson and Johnson products are for our children from their lotion to their shampoo and baby powder, but did you ever think that most of their products could be used for us as well? I’m a long time user of the original Johnson and Johnson baby lotion. It’s smell reminds me of my childhood, makes me smell fantastic and goes on smooth. However, I didn’t know that I could use their baby powder as well! Besides using it for your baby’s diaper rash you could use it as a dry shampoo! Use it to remove odors from your stinky shoes or dab some on for deodorant. Not only that– okay this MAY blow your mind, but you could use it for the beach too! Say what? Yes! When you’re done at the beach or just playing with sand pour the baby powder on you and rub off the sand– BOOM! You feel great, smell great and oh yeah got the sand all off. You’re welcome. 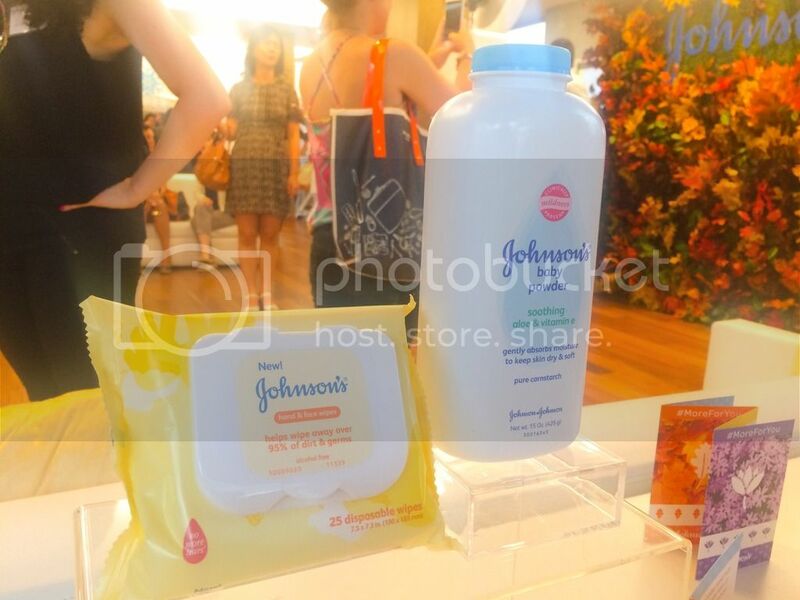 Johnson and Johnson also has a great baby oil gel with aloe that has many great benefits for your whole family. Besides using it as a lotion which I personally do, it works for your manicures; massage some of the gel into nail beds to help soften cuticles. Another trick if you’d like to soften your feet– apply the oil gel on your feet before putting on your socks right before bed. Need some shine to your hair? Just add some of the oil gel to the tips! One last tip on how to use the oil gel; dab it on your lips for a smooth and glossy pout. Voila! What’s great about Johnson and Johnson is that if you don’t for som insane reason aren’t a fan of their original scent they have other scents– lavender, vanilla and shea & cocoa. I’ve not only given you tons of ideas, but I’ve also saved you big bucks. You already buy these items for your child so why not benefit from them too? I use baby oil gel for Bella’s hair! It makes it so much easier to work with, because of all her baby hair. I also use it for my skin in the summer 1. It makes it shiny and glowy! 2. Supposedly it keeps the mosquito’s away! When I’ve used it I haven’t gotten bit by a mosquito. I’m allergic to mosquito bites so that’s gotta say something. Lol 3. If you happened to run out of shaving cream its a good replacement. I love all their scents. My hubby nephew doesn’t believe in deodorant so he uses bay powder for his armpits! Kind of gross but it works for him.